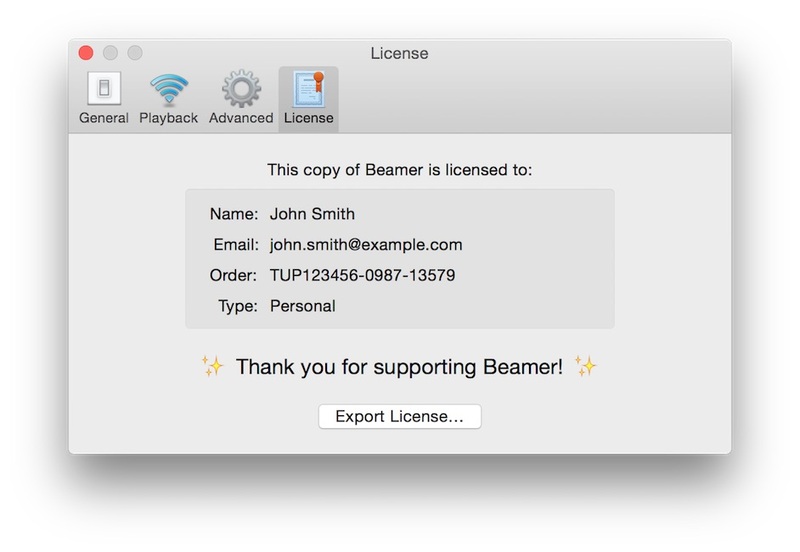 You should have received an email with subject “Your Beamer 2 license” that contains a link to download your license as a file. Transfer the license file to the other Mac and open it with Beamer to install it on that computer. Alternatively, you can export your license from the License panel in the app preferences.